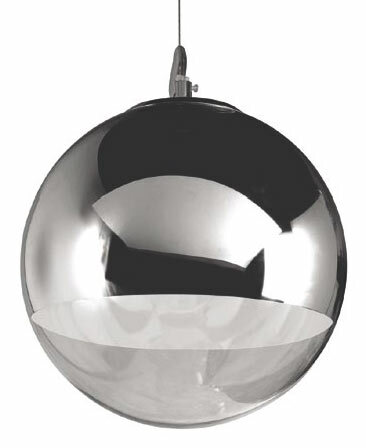 The Diego Pendant has a sleek shine and fluid form created from a half chromed glass shade. The pendant fixture creates a contemporary and elegant look in any stylish space. This snazzy piece is made of a half chromed glass shade. The Diego takes 1 E 26 60 watt chromed bulb which is included, a clear cord with a 4” canopy is included as well as an adjustable stainless steel cable. The Diego pendant fixture creates a warm and elegant ambiance in any sophisticated space.